This image was taken shortly before third contact, the end of totality. 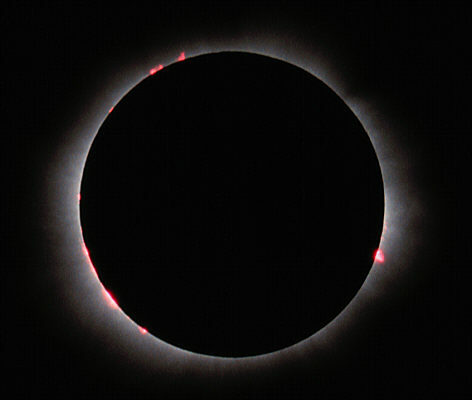 Prominences are easily seen on the western (left) side of the image, along with the inner corona. As seen in the southern hemisphere, north is at the bottom of the image.